Today I want to prepare an upcoming project that was inspired by the Nickolas Dupras thesis “Armourers and their Workshops..” in which he described several greeves and that he couldn´t find any evidence for a raising process by examinating the internal tool marks. He described the found tool-marks as shallow oblong or oval hammer marks. 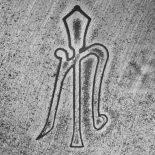 So today I will make a hammer to aachieve this marks. 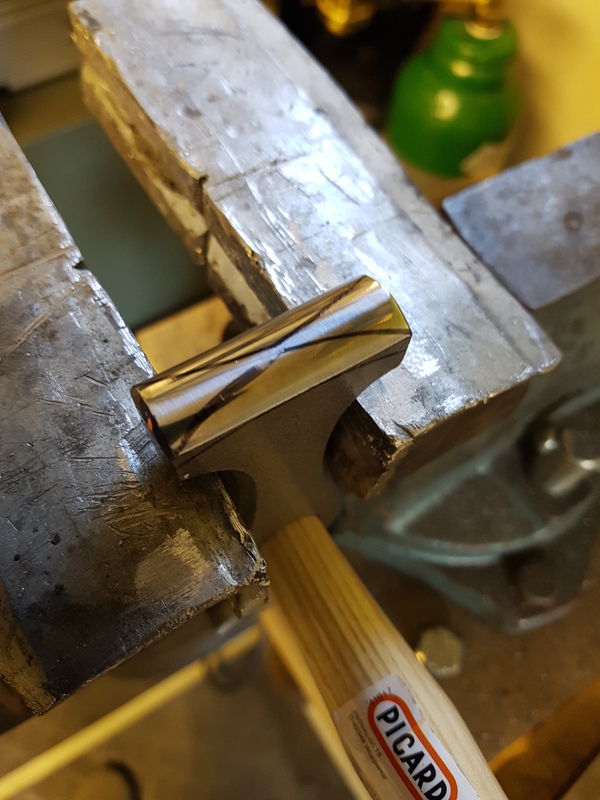 I start from an 375g grooving hammer and grind out the desired form. I start by making paper templates to be shure to have the same curveture on both sides and copy them to the hammer head. The main grinding I do with an angle grinder and a 60 grit fibre disc. To get a continoues form I work in passes and work out facets. Next step forms the the facets into a curved surface on a 125 Grid flap disc. In this step I also break down all edges. 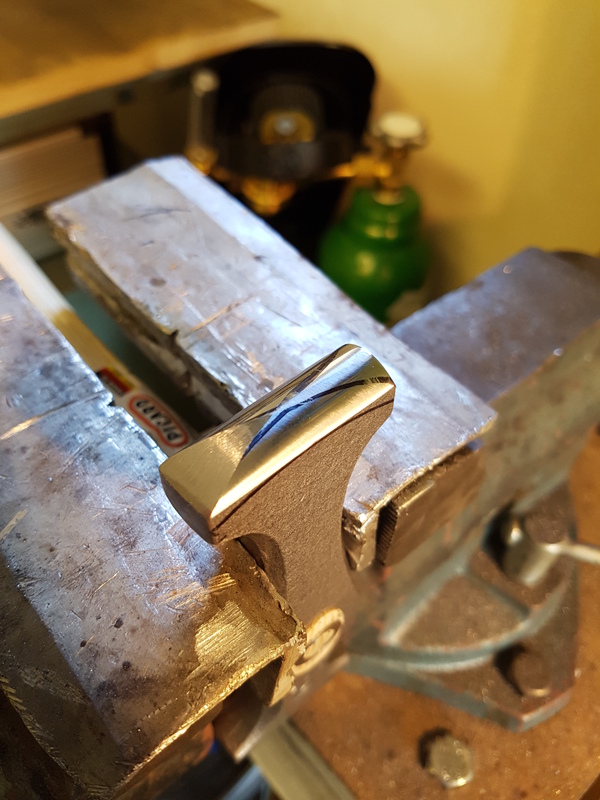 Last step is the polishing. Starting with a 120 grid hand sanding to identify any low spots. Second is polishing on a buff with hard 120 grid compound. And finished is the polishing on a sisal buff with black compound. 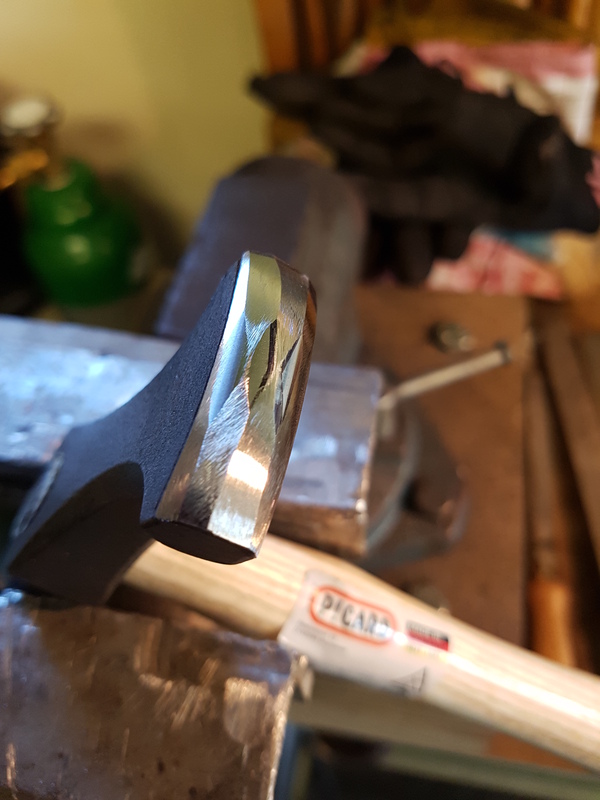 The finished hammer make more oval than oblong marks but I will give it a try. what material do you use for what purpose? what strenght? is 1,5mm ok? 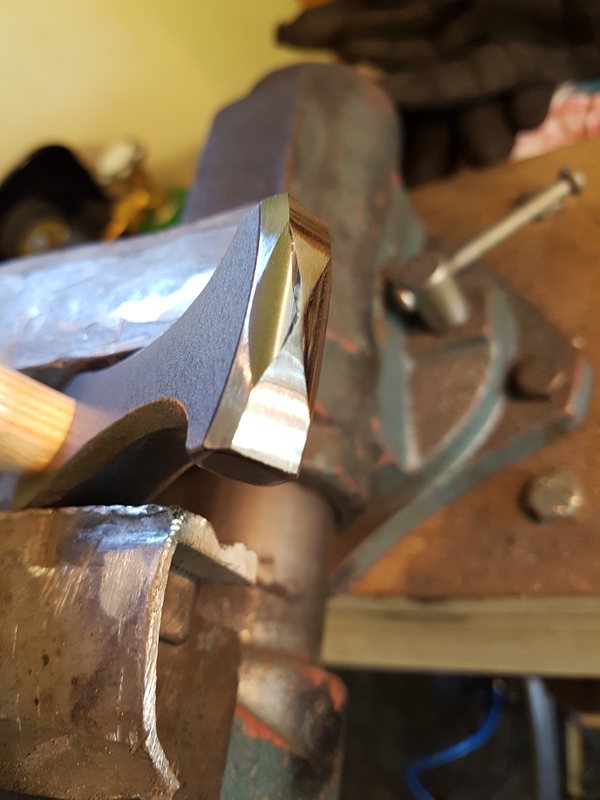 The range for sheet steel I already used is quite big from 0,75mm for small lames to 3mm for heavy duty breastplates…both mild steel and hardenable steels. For costume or roleplaying 1,5mm mild steel is good for helmet or breast plates. For heavy duty sword play 1,5mm mild steel only for small plates without raising. Hi, so what’s the difference between a raising hammer and this hammer? 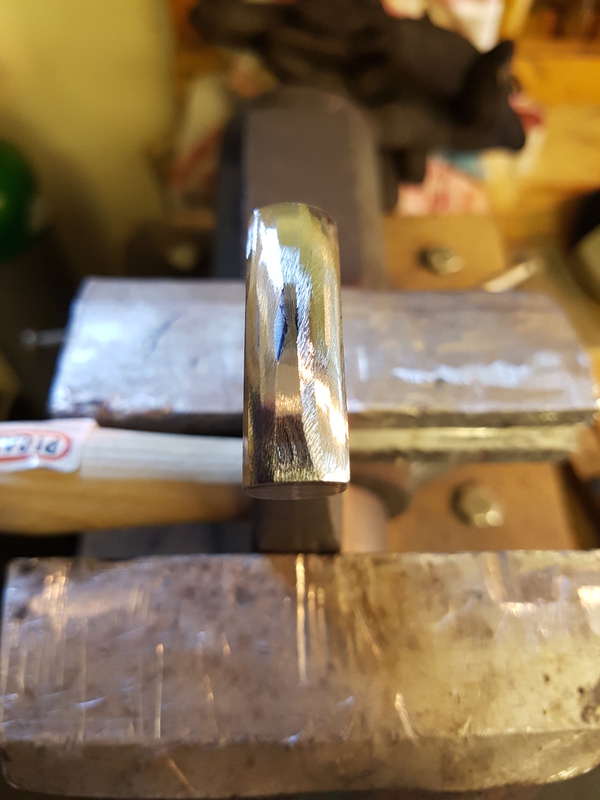 I know the shown grooving hammer as raising hammer, probably with slightly rounded edges. When I remember right Dupras just had one example of an unfinished helmet where he was able to find raising hammer marks on the outside. He described them as more cylindrical than the oblong marks I want to achieve with this hammer. where do you get the „buff with hard 120 grid compound“ in Germany? Or what are the correct german terms for it to search in the internet? I wasn’t able to find something similar in germany. 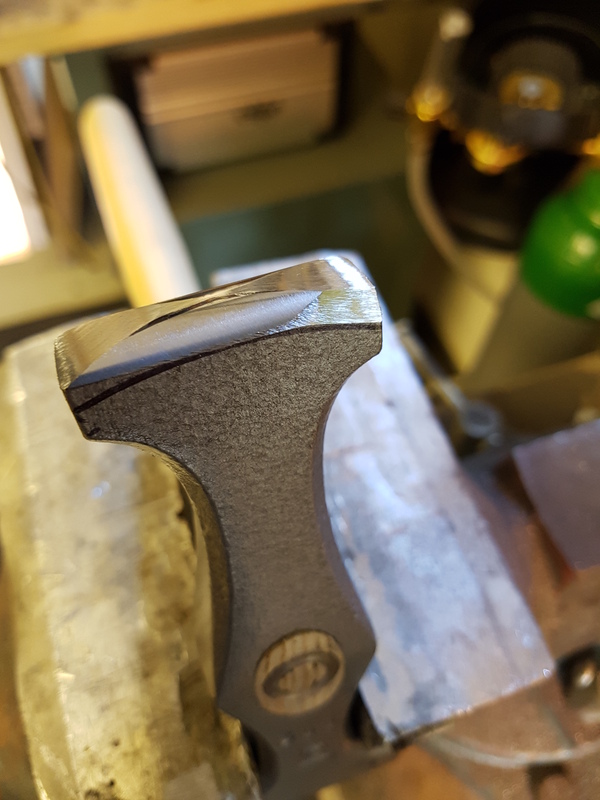 This entry was posted on May 23, 2018 by nilsmandel in Werkzeug and tagged curling, doming, grinding, hammer, polishing, Tutorial.